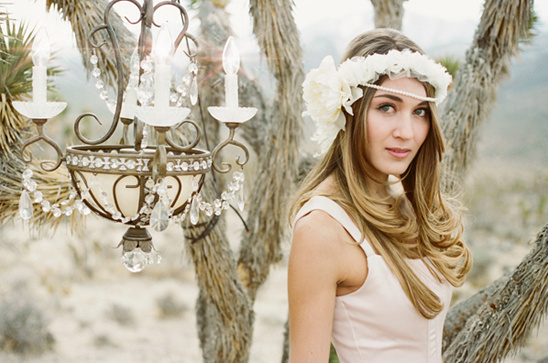 A dreamy desert inspired bridal shoot photographed on the outskirts of Las Vegas Nevada with a few vintage inspired props, including a shabby chic chandelier. This one little element really adds an expedited twist to the bridal portraits. Don't you think? 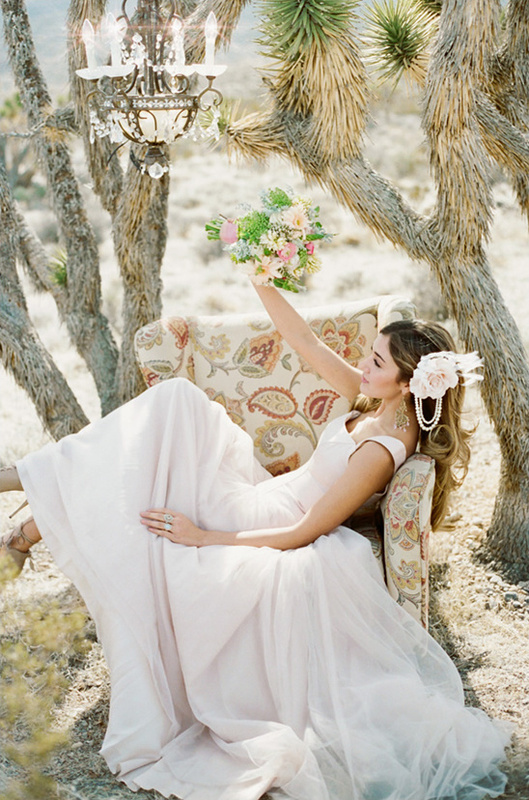 The bride wore mostly all vintage from her beige shoes to her blush colored ballet style wedding gown. 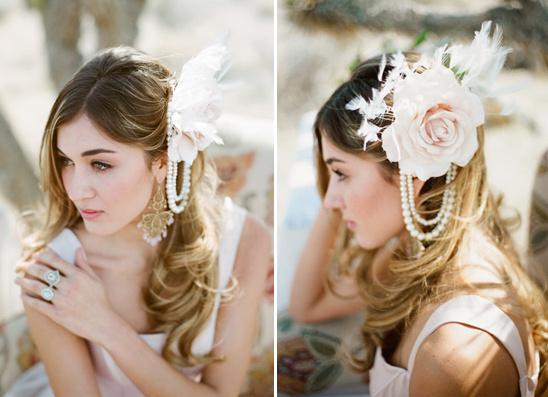 She did have some pretty fancy head adornments from Floral Crowns. 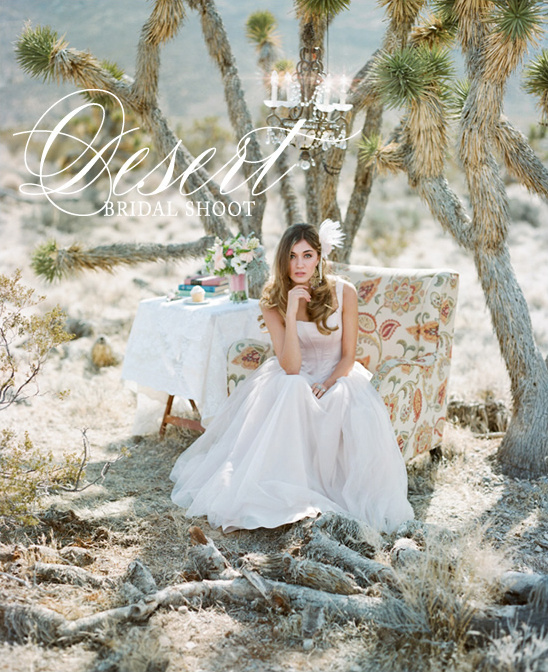 To see more of this desert bridal shoot, photographed by Gaby J Photography just click here and enjoy. 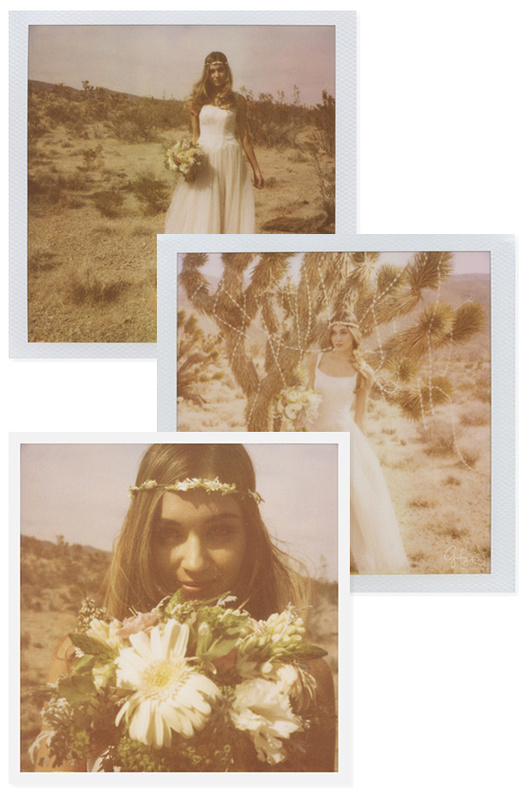 Gaby J Photography also included some Polaroid photos from the shoot. You can see all of them in the full gallery by clicking here.